As many students in Poland, I also had to take second term of exams on my university. We used to call it "Septeber campain", because it was in September. I must say, I'm glad of this fact. I really didn't want to learn during my summer holidays, but somehow I found strenghts to learn. I read series of scripts from one of profesors (Władysława Ciążyńskiego), which in simple and clear way explains all secrets and rules from analog electronic. 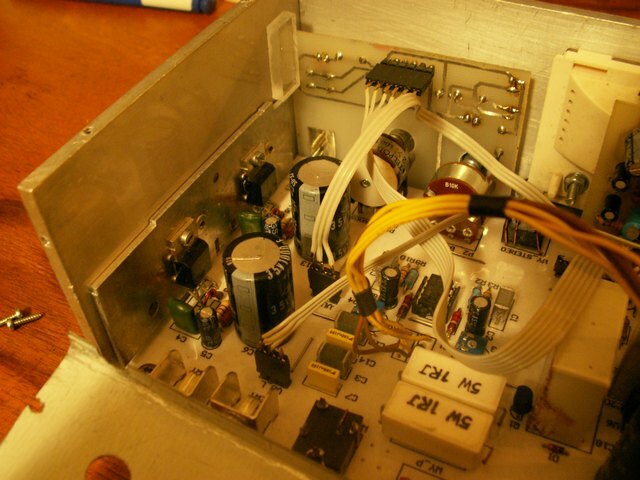 When I passed exam, I felt a temptation to build some simple power amplifier. Finally I understood how it works. It is not any super trouper highclass device. 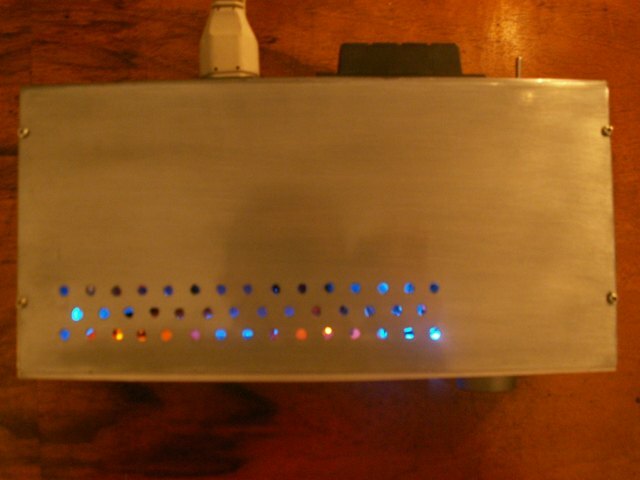 I just want to build something that will allow me listen to music frome any device (mp3 player, cd player, etc.) on headphones or speakers. Except volume control it should be also able to control balance between chanels. Because players are different, I decided to build in input for small jack, no only standard chinch. 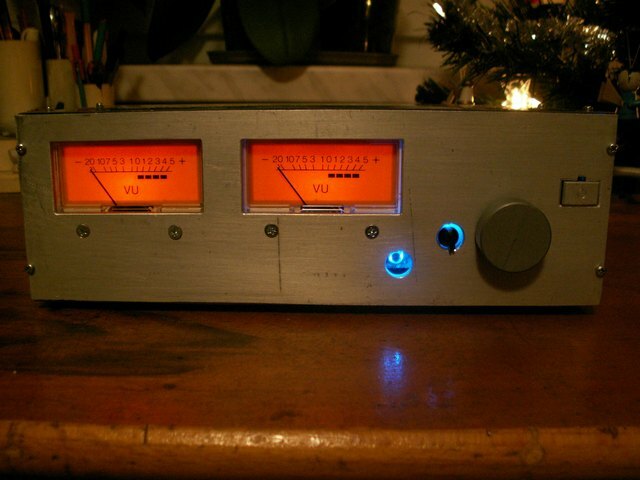 At the end, I added "stand-by" type power button and use analogue vu-meters, that I got many years ago. 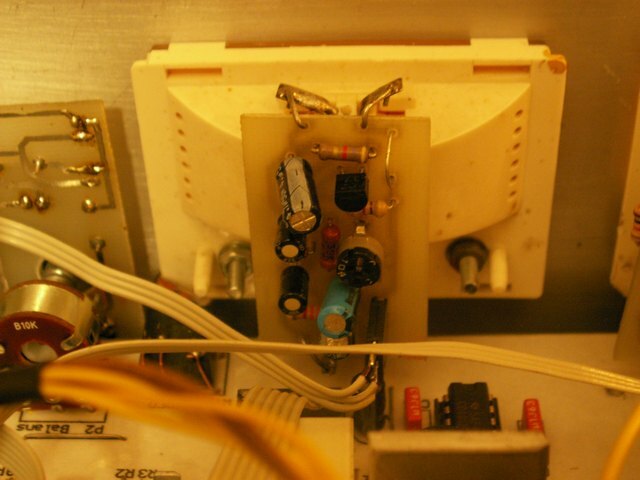 Schematic was drawn very fast because I used semicondutor power amplifier (TDA2003). It was too early to build fully discrete one. 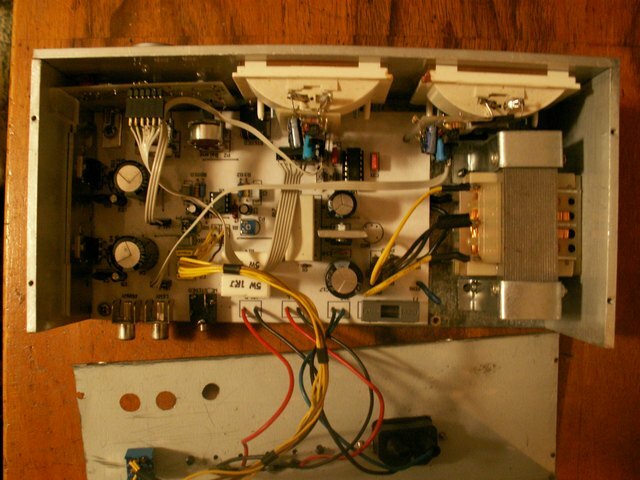 Because of this simplification, all I had to do, was to count a few resistors, add some potentiometers and switches. Rest was really simple and device was almost ready. Almost, because some problems must to appear. The worst were analogue vu-meters. I used THT parts and I didn't have place for them on main PCB. That is why they are mounted on back side of its plastic case (see photo). I must say I'm really proud of the metal case. It was my first one. It took me a few evenings to drill and file all holes. Every part is covered by transparent lacquer (thanks to Łukasz Rybacki) what protects metal before oxidation. Below I put some photos of ready device. 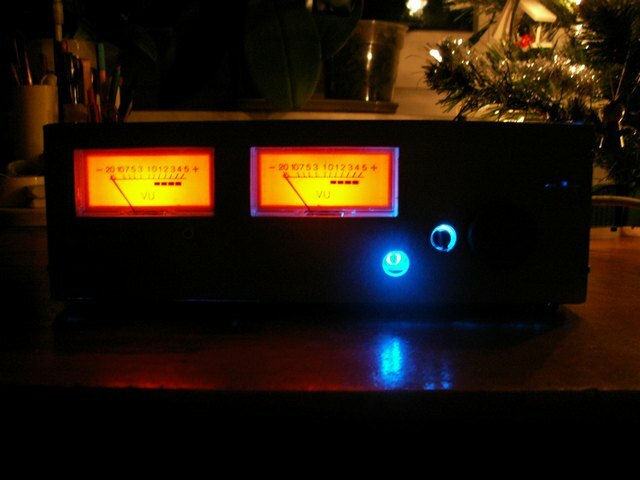 TDA2003 power amplifier, TDA2003 wzmacniacz mocy 10W, analogowy wskaźnik wysterowania.